Kali Linux is a really popular operating system based on Debian Wheezy, full with “ethical hacking” tools. Nowadays Kali Linux developers working hard to update a version of Kali. Kali users receive version update every month. So to know which version is installed on your computer and do you need to update your system or no, in this post I will show you how to check the current version of your Kali Linux. No need to download any external software we can do that using the only terminal. And in next line, it will show you the current version of you system. 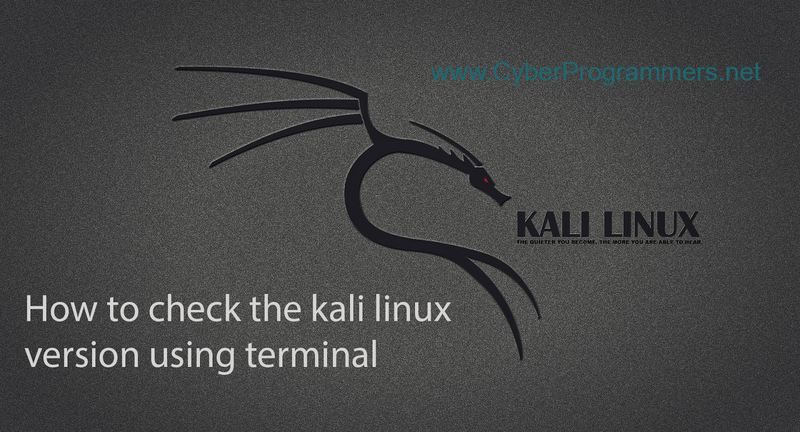 If you have not yet installed the latest version of Kali Linux you can install it.